New Delhi: India’s largest domestic airline, IndiGo, will add 30 percent capacity this financial year to maintain dominance of the world’s fastest-growing aviation market, although its parent company has just recorded its first quarterly loss since listing. The clear market leader with 189 planes and a 43 percent share is unwilling to cede ground to rivals like Jet Airways Ltd and SpiceJet Ltd, Chief Commercial Officer Willy Boulter said. 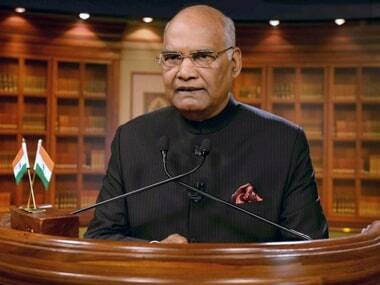 “We are keen to protect our market share,” he said in an interview. The airline has said it plans to add to its fleet of Airbus SE A320neos and ATR 72 turboprops at a rate of around 6 planes a month. Fares fell almost 10 percent in the last quarter but any unilateral increase would be outweighed by the number of passengers the airline would lose and that would hurt revenues and Indigo’s long-term position, Boulter said. India’s aviation market is growing at 20 percent annually, but a combination of rising oil prices, high fuel taxes, a weak rupee, low fares and intense competition have driven carriers into the red. The low-cost carrier’s parent Interglobe Aviation reported its first-ever quarterly loss since listing in 2015 of 6.52 billion rupees ($88.99 million) on Wednesday and in the lead-up to the results, shares fell to record lows. 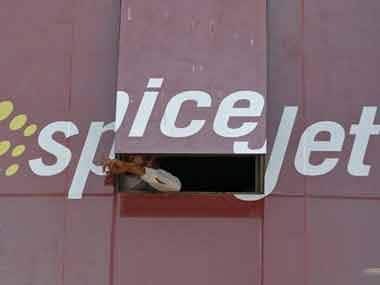 However, as Jet Airways seeks a cash injection, Air India receives fresh government handouts and budget rival SpiceJet’s balance sheet weakens, IndiGo is in the best position as it has the lowest costs, said Binit Somaia, South Asia director at the CAPA Centre for Aviation, a consultancy. IndiGo’s costs per available seat kilometre were 14 percent lower than SpiceJet and 23 percent lower than Jet Airways in the June quarter, according to data published by the airlines. “They can ride this out better than others can, without a doubt,” Somaia said of IndiGo. 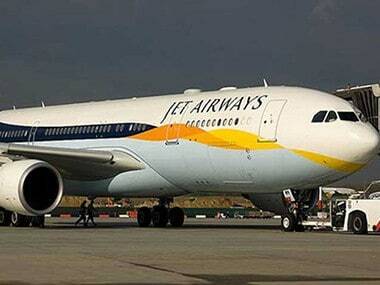 His firm estimates Indian airline industry losses could reach $1.9 billion this year, led by full-service carriers. To conserve its $1.8 billion cash balance, IndiGo said it will keep leasing its A320neos rather than buying some of them as it had previously announced. The carrier also has an “aspiration” to buy widebody jets for long-haul international flights at a later date, but for now is focused on adding more short-haul international flights to boost revenues, Boulter said. IndiGo shares closed 7.5 percent higher on Thursday, the biggest one-day gain since February 2016, and were trading around 1.2 percent higher at midday on Friday in support of the strategy. Shares have fallen 27 percent since January, but that is better than the 73 percent fall for Jet Airways and 51 percent decline for SpiceJet. IndiGo, one of Airbus’ biggest global customers with 430 more jets on order, has nearly triple the market share of nearest rival Jet Airways, which recently grounded some planes to conserve cash. But IndiGo’s strategy is not without risks. Its rapid growth is depressing fares across the market at a time of rising costs and conditioning consumers to pay less. Furthermore, its willingness to stomach losses if needed to outlast rivals could be placing the broader industry in financial peril to the detriment of the traveling public and thousands of employees at rival airlines, according to an official at the civil aviation ministry. India does not regulate airline pricing but the government is worried about the sustainability of the industry because fares are no longer covering costs, the official said on condition of anonymity. “Pricing is entirely their domain ... but if it comes to continuous bleeding by airlines then it becomes a matter of concern,” he said. IndiGo’s success has been built on a model of simplicity, keeping costs low through the use of an all-Airbus fleet for metro flights and no codeshares with other airlines or a frequent flyer programme. Many business travelers now prefer IndiGo because of its new planes, high frequencies and strong on-time performance, despite the grounding of some of its jets due to issues with the Pratt & Whitney engines. This makes it more akin to Southwest Airlines Co or easyJet PLC models rather than barebones carriers like Ryanair Holdings PLC and AirAsia Group Bhd. “I think from a brand perspective, IndiGo has done a great job,” said Kotak Institutional Equities analyst Garima Mishra. IndiGo, whose management team is led by several expatriates after long-term CEO Aditya Ghosh announced his departure in May, built up its business on the basis of offering the lowest fares in the market and it still offers super-cheap ones like a $28 one-way sale fare for the 2-hour Delhi-Mumbai flight. More recently, however, it has accused cash-strapped rivals of discounting last-minute fares to fill more seats with paying passengers at any price. The practice is hurting IndiGo, Boulter said, as business travelers are willing to pay a premium for last-minute flights which boosts average fares - around 46 percent of its customers book in the last 15 days before flying. The airline attempted a significant fare price increase through a fuel surcharge in May but it was not matched by the competition and had to be withdrawn so that IndiGo did not lose market share, he said. 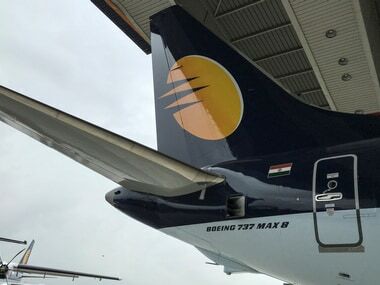 James Marshall, Expedia Group’s Asia-Pacific vice president of transport partner services, said domestic fares in India were “ridiculously low” in comparison to other markets, leading to a financial crunch especially for IndiGo’s full-service rivals, but fuelling incredible passenger number growth in India. “Airlines end up fighting for the same passengers and tempting them with lower and lower fares, which is good news for cost-conscious travelers, but not an ideal situation for airlines, especially those with higher operating costs or value-added service inclusions,” he said. 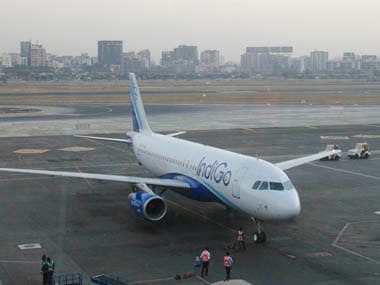 Several analysts expect IndiGo will report a loss for the financial year ending 31 March, but a rebound to profit is expected the following year as its biggest rivals are forced to change tack by cutting capacity or in SpiceJet’s case, moving into less competitive secondary markets to boost average fares. “In the short-term for IndiGo we’re looking at our situation and saying we’re in a stronger position than anybody else,” senior adviser Greg Taylor, who is awaiting regulatory approvals to become the new CEO, told analysts on Wednesday.